Build employee trust by being accountable, responsible, and present. Invest in employee’s skills so they are up to date and relevant, following megatrends and the trajectory of the company. See diversity as part of the company’s DNA, not a program. Seek out opinions from voices from all around, including opinions that don’t match their own. Understand what the companies’, countries’, and world’s most precious resources are, and stand up for them. Take part in long-term “self-serving” work of ensuring a talented next generation who will be tasked with developing solutions for the future; this work cannot be done on a quarterly basis. Act on the companies’ values, but plan for the blowback—and the support. The public expects CEOs and their brands to take a stand on social issues, new territory for many companies that they will need to prepare and plan for now. No single company can solve these massive social challenges alone, find collaborators, build coalitions, join a movement. CECP companies collectively represent $6.6 trillion in revenues, $21.2 billion in societal investment, 14 million employees, and $15 trillion in assets under management. Around the world, these companies have led cross-sector initiatives on disaster relief, public health, sustainability, education, employee engagement, diversity and inclusion, veterans, and more. When asked which action most effectively builds trust in a company, 42% of CEOs responded, “ethical business practices” and 38% “treat employees well”. Ninety-three percent of CEOs agree or strongly agree that “the purpose of business is to produce profitable solutions to problems of people and planet”. 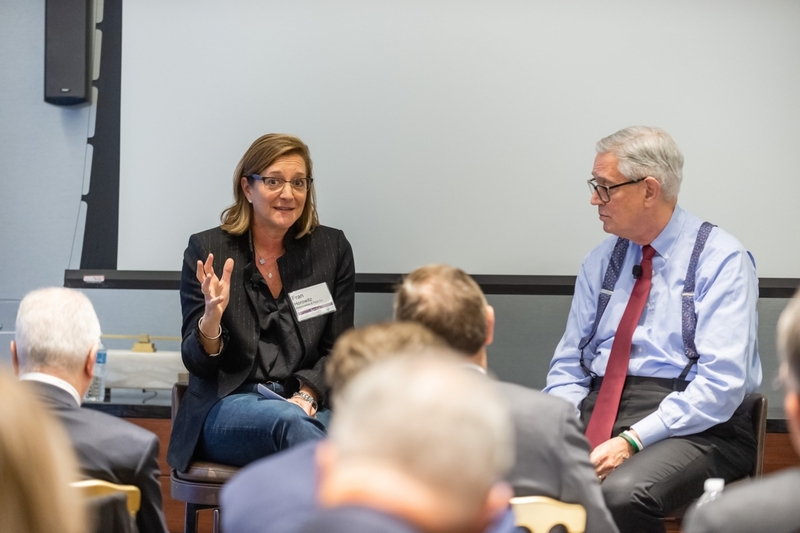 Sixty-seven percent of CEOs reported that the most effective bold move they can make toward sustainable business leadership over the long term is to speak publicly, in their own voice, on what their companies are doing and why. Bob Forrester, President and CEO, Newman's Own Foundation, Co-Chairman, Newman's Own, Inc.
Alan G. Hassenfeld was honored with the Lawrence A. Wien Legacy Award the evening before at CECP’s Chairman’s Reception at the Asia Society in New York City. During a series of board meeting-style conversations, CEOs exchanged ideas and best practices on subjects vital to the world’s leading and most enduring companies, including levering technology for good in the workplace and marketplace, corporate purpose as a scaffold for legacy, how listening to customers and cultivating a strong company culture are key to a purposeful path; fueling business transformation and growth with strong company values and the role CEOs play in corporate activism. See photos from the event. 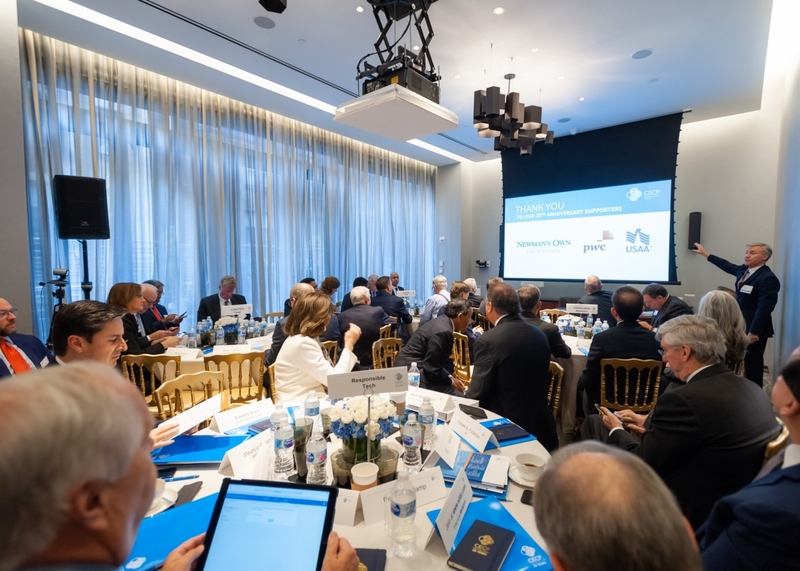 The 2019 Board of Boards also marked the 20th anniversary of CECP’s founding by Paul Newman, John C. Whitehead, Paul Volcker, Peter Malkin, and other business leaders, and a re-branding to Chief Executives for Corporate Purpose, redefining the CECP acronym to reflect its future-forward approach. Since its inception, CECP has been leading businesses in the pursuit of a better world and guiding companies as they address the world’s greatest challenges through their skills and resources, with measurable impact. The past two decades have seen CECP shape a field of practice that examines the critical intersect between business and society. And, as global challenges continue to transform our planet, CECP believes companies can – and will -- do more. 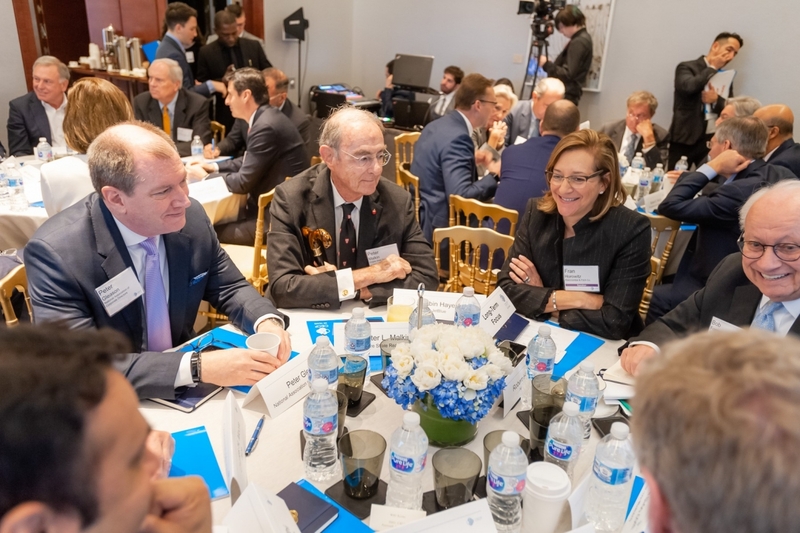 Following the Board of Boards, CECP ‘s Strategic Investor Initiative (SII) hosted the sixth CEO Investor Forum, convening in the same venue. 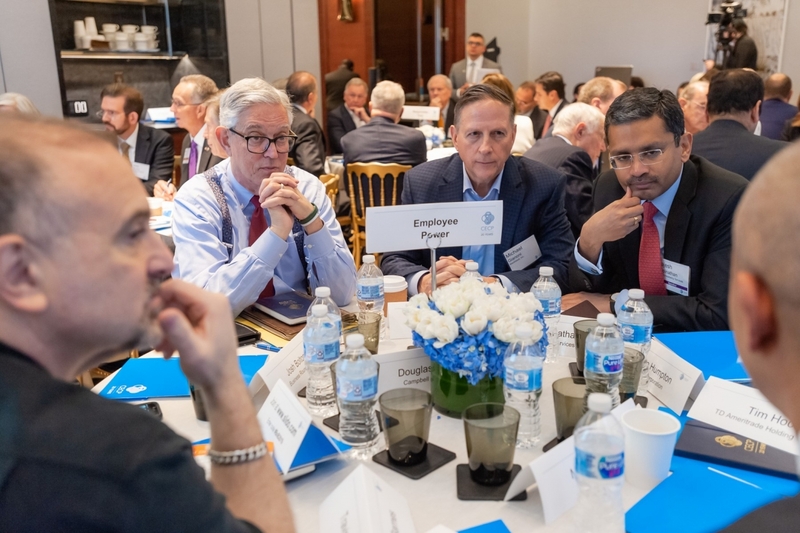 CEOs of AmerisourceBergen, Aptiv PLC, Equinix, JetBlue Airways, and Nestlé S.A. presented to more than 150 investors focused on the long-term. Presentations were live-streamed and can ​be watched anytime. See photos from the event. Email Nandika Madgavkar to sign a CEO up to make a long-term presentation. 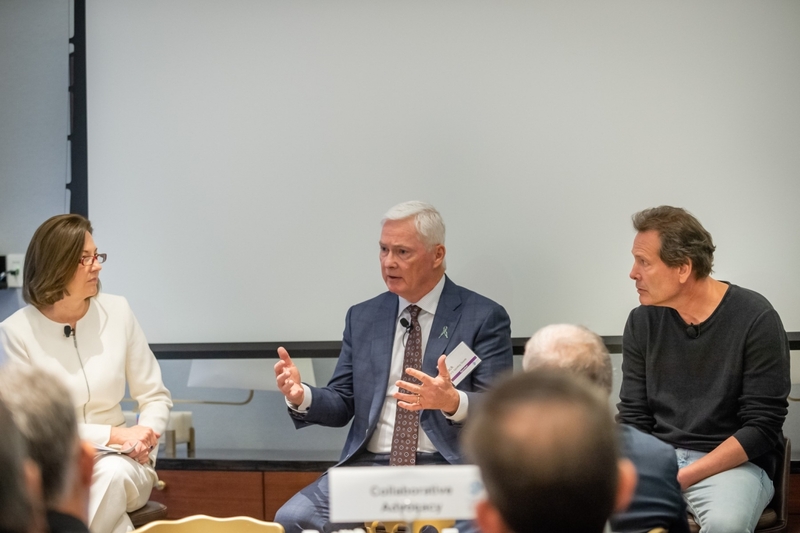 The convening was held at the Park Hyatt in New York City and the event was limited to CECP CEOs. The agenda and list of attendees can be found here. An Executive Summary including live-polling results, images, and highlight videos will be available on the CECP website following the event. The date of the 2020 15th annual Board of Boards is February 24 in New York City. CECP is grateful for the generosity of event supporters KPMG LLP, Newman’s Own Foundation, Regeneron, and USAA. CECP’s 20th anniversary is supported by PwC, Newman’s Own Foundation, and USAA. CECP also thanks the Empire State Building for lighting in CECP blue on Monday evening. 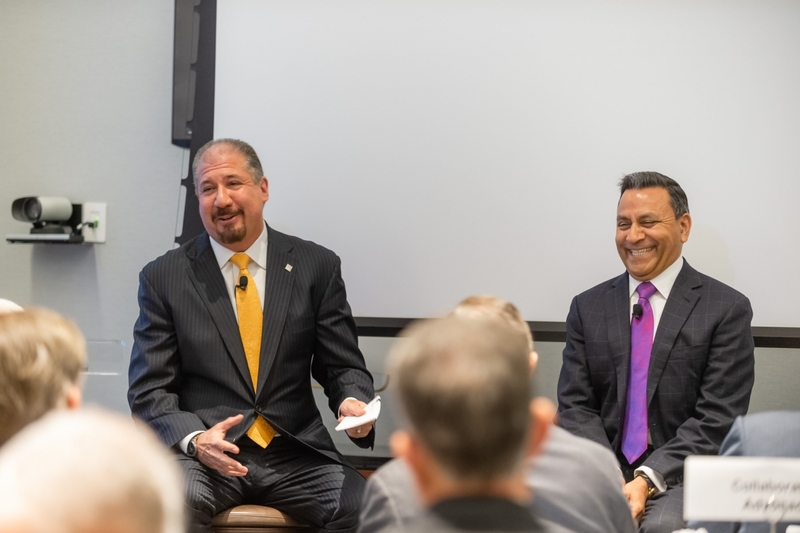 Note to Editors: Select CEO attendees, including award winners and speakers, and CECP executives are available for comment following the event. Please contact Jackie Albano, jalbano@cecp.co, 646-863-1926 to arrange interviews. Chief Executives for Corporate Purpose (CECP) is a CEO-led coalition that believes that a company’s social strategy — how it engages with key stakeholders including employees, communities, investors, and customers —determines company success. Founded in 1999 by actor and philanthropist Paul Newman and other business leaders to create a better world through business, CECP has grown to a movement of more than 200 of the world’s largest companies that represent $6.6 trillion in revenues, $21.2 billion in societal investment, 14 million employees, and $15 trillion in assets under management. CECP helps companies transform their social strategy by providing customized connections and networking, counsel and support, benchmarking and trends, and awareness building and recognition. For more information, visit http://cecp.co.